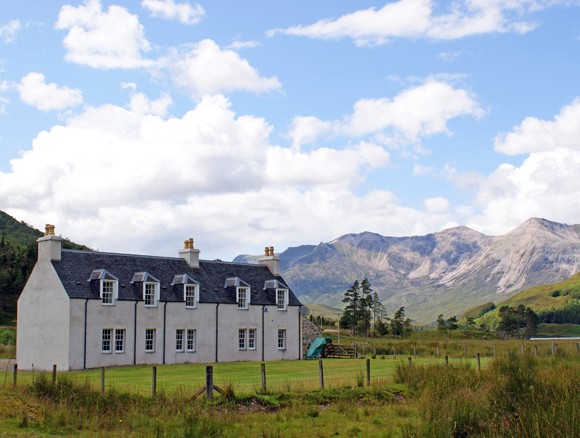 Extending over 23,000 acres of the Torridon Mountains, and adjacent to the exceptionally beautiful surroundings of the Beinn Eighe National Nature Reserve, the estate offers wonderful fishing and stalking in a truly wild Highland environment. Coulin Estate offers salmon and sea trout fishing for 4 rods on the A’Ghairbhe river and Lochs Clair, Coulin and Sgamhain (the latter is on the Carron System). Ghillies are available on request. In recent years salmon and sea trout have been caught from May to October with steadily improving runs throughout the Ewe system. This coincides with an ongoing hatchery release programme operated by the estate. In addition to the river system, Coulin offer a wonderful variety of hill loch fishing catering both for the beginner and the adventurous, with brown trout close to home or arctic char in remote corrie lochans. Whether the river or the hill is favoured you will be fishing amidst some of the most beautiful scenery on the West Coast. 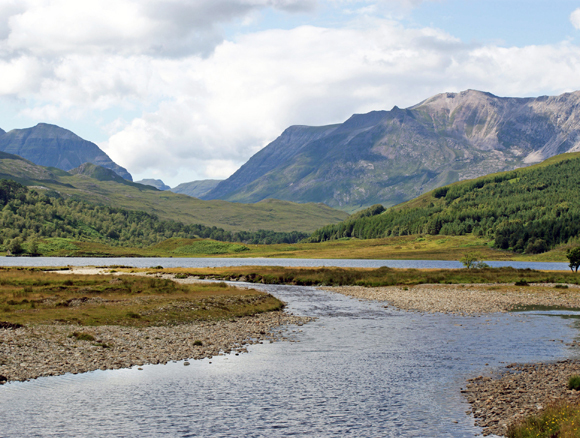 Coulin offers excellent stalking in exceptionally beautiful surroundings beside Beinn Eighe National Nature Reserve. Extending over some 23,000 acres of the Torridon mountains, the estate offers the opportunity of challenging stalking on the eastern fringes of the Torridons. The stalking covers an exciting variety of terrain from wild rocky outcrops and scree to gentler grassy slopes. The estate has the ability to put out two rifles per day. The stalking begins promptly in late August, the estate being a stag forest, and it runs through to the close in late October. Hind Stalking is available from October to February. Stags are extracted either by Argo or stalking pony. 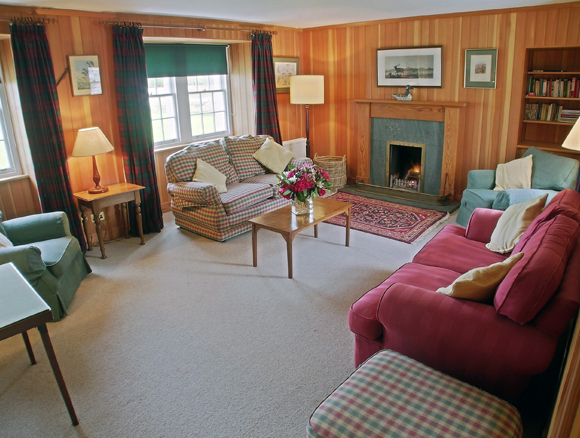 The farmhouse is attractively situated at the head of Loch Coulin. It is particularly comfortable, in fine condition and equipped with full central heating and all modern amenities. It sleeps 8/10 in one double, two twins, a bunk twin and a sofa bed in the study. There are two bathrooms and one shower room. 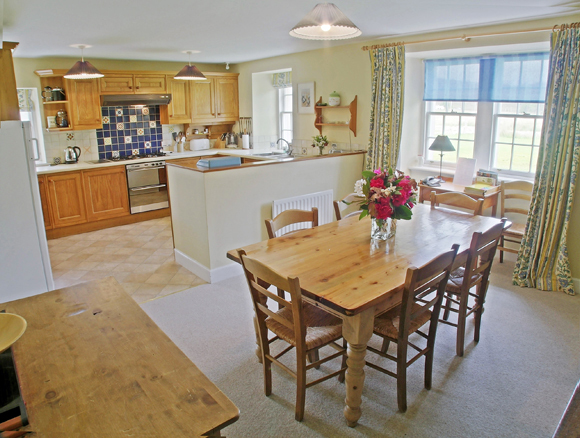 The homely kitchen/dining room is complemented by a warm sitting room panelled in Douglas Fir. Access is by an unmetalled road. Further well appointed accommodation sleeping 5 is available on the estate at Torran.